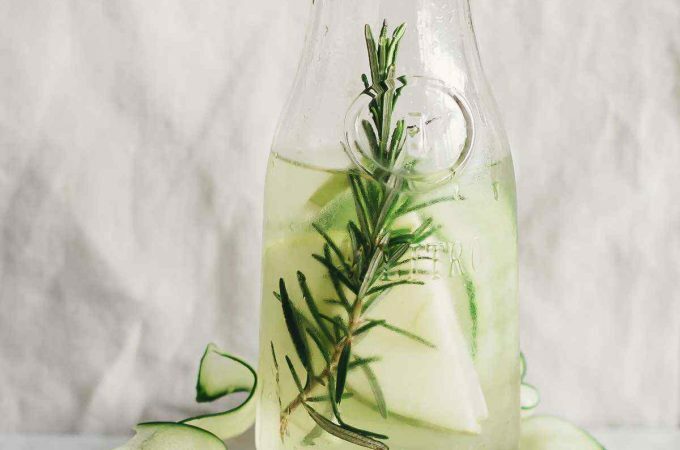 Want to know the secret to achieving healthy, glowing skin? The answer isn’t make-up or skincare products but proper nutrition, sleep and stress management. The old adage, “you are what you eat” cannot be more true when it comes to the condition and complexion of your skin. Interestingly, skin health and appearance may be a direct reflection of what is going on inside your body. The human body is a complex, efficient machine. It possesses the amazing ability to allocate essential nutrients to vital organs needed for survival. Unfortunately, the skin is one of the last organs to receive nutrients. Additionally, if the body is lacking in certain nutrients, the first places it will show is in the skin, hair and nails. Your skin relies on you to provide it with the necessary nutrients it needs for proper cell repair and regeneration, moisture, and a healthy radiant glow. This can be accomplished with a well-balanced, nutritious diet. Before you reach into your makeup bag for cover-up or moisturizers, add these 10 food items to your daily meals. 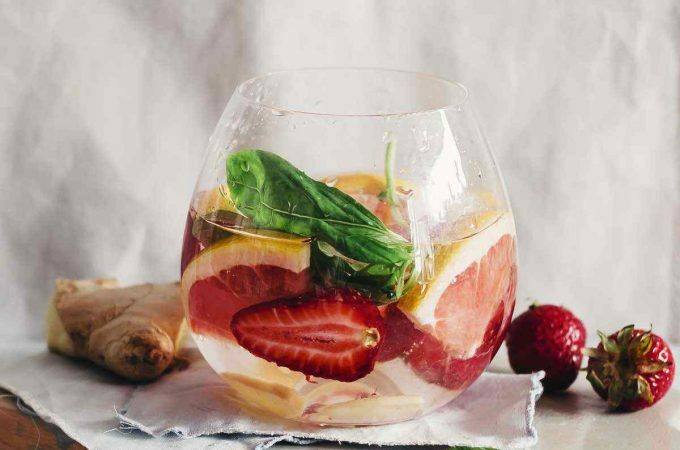 The nutrients found in these foods will help you get that youthful looking glow as they nourish your body from the inside out. Packed with antioxidants, avocados are high in polyunsaturated and monounsaturated fatty acids, which aid in protecting your skin from free radical damage. (1) The polyunsaturated fatty acids guard the skin against sun damage and protect it from environmental pollutants such as smog. On the other hand, monounsaturated fats help the top layer of your skin retain moisture. Avocados also contain high amounts of vitamin A, E, D, and omega-9 fatty acids. These nutrients are essential for maintaining healthy skin. 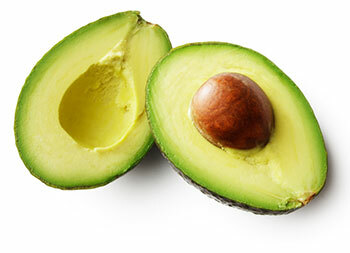 Tip: Try applying avocados topically to soften and hydrate areas where dry skin is present. You can also make a homemade moisturizing mask by combining half an avocado, 1/4 cup of uncooked oatmeal, 2 tablespoons of honey, and 1 teaspoon of lemon juice. 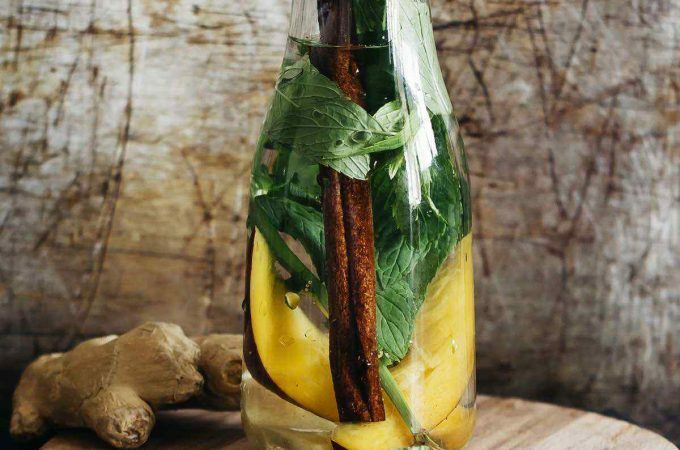 Simply mash the ingredients together and apply it to your face. Leave the mask on for 20 minutes and wash all residue thoroughly. There are many delicious recipes you can make with avocados. Try this simple avocado recipe. In a bowl, mash half an avocado and add a few squirts of lemon. Next, add a pinch of black pepper and mix the ingredients. You now have a nutritious spread that you can put on toast for a healthy snack. There are many avocado and guacamole recipes available online for you to try and experiment with. Did you know that tomatoes are packed with natural vitamins and minerals including vitamin E, C, B-6, and K? These vitamins and minerals are required for healthy skin. Lycopene helps protect your skin from the harmful UV rays of the sun. Lycopene has also been shown to help clear up acne. Tip: You can apply the juice or pulp of tomatoes on your skin to activate the benefits from lycopene. 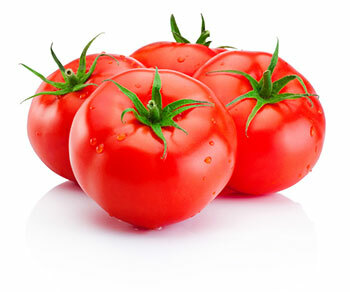 Additionally, tomato pulp will also help to prevent pimples and will tighten up pores. Tomatoes are one of the most versatile ingredients in cuisines around the world. Try mixing 5 tablespoons of tomato paste,1 tablespoon of olive oil, and a few basil leaves for a simple, yet delicious pasta sauce. Individuals who are frequently exposed to the sun should consume a serving of tomatoes regularly to maximize UV protection and to prevent premature aging. Not only will spinach keep you healthy and give you strength, but it also possesses excellent anti-aging benefits. 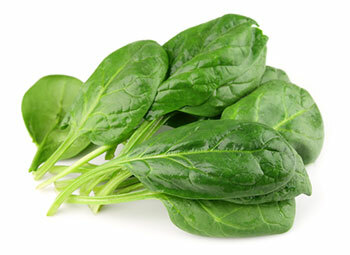 (3) Spinach is rich in beta-carotene, a powerful antioxidant that is essential for a healthy glow. A serving of spinach is also rich in vitamins A, E, K and C. These vitamins are effective at reducing the onset of wrinkles. Spinach also has the ability to help strengthen skin tissues and has anti-inflammatory properties that aid in flushing out toxins, resulting in radiant, glowing skin. Tip: Make a spinach moisturizing paste by blending a half cup of spinach with two tablespoons of olive oil and one teaspoon of lemon juice. Spread the paste on your skin and rinse it off after 20 minutes. Not everyone enjoys the taste of spinach but there are many ways to mask the flavor. Top your pizza with grated spinach, add it into your omelet, incorporate it into a hummus recipe, or throw some spinach leaves into your smoothies. There are hundreds of recipes you can find online if the examples given previously are not to your liking. Carrots also have a large amount of vitamin C, which promotes collagen growth, reduces acne, and aids in reducing dark spots. 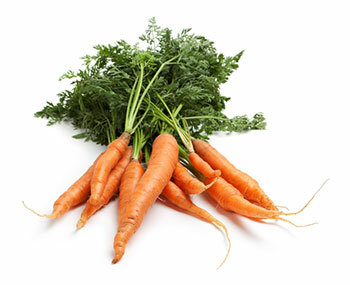 People who consume a higher amount of carotenoid foods such as carrots have more yellow tones in their skin, giving their complexion a natural glow. Tip: For an effective anti-aging face mask , take a boiled carrot and mash it together with 1 tablespoon of organic coconut oil. Apply the paste to your face and leave it on for 20 minutes. Wash off the mask with warm water. It’s very easy to get a healthy serving of carrots daily. You can put a few sticks of carrots in a juicer, add julienned carrots to a salad, or you can even have a serving of carrot sticks with a dipping sauce of your choice. 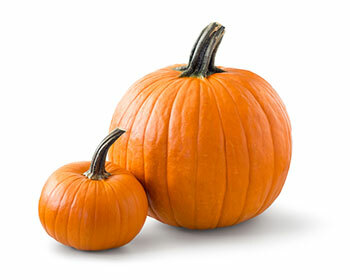 We all got the message about the health benefits of eating seeds, now pumpkin and pumpkin seeds are getting all the attention. The body converts beta-carotene into vitamin A. Vitamin A is also referred to as retinol, an ingredient found in the most popular anti-aging creams on the market. Vitamin A is essential for the growth of healthy skin cells. Pumpkin seeds are packed with zinc, vitamins A and K, and the omega-3 fatty acids which are essential for maintaining good skin health. Tip: Apply this pumpkin mask by combining 3 teaspoons of mashed pumpkin, ½ teaspoon of milk, and ½ teaspoon of honey. Leave the mask on for 20 minutes and rinse thoroughly. This mask will help manage oily skin and will help even out skin tone. As for your diet, grab a handful of pumpkin seeds and eat them raw or throw them into your salad. You can even create a sweet potato and pumpkin mash topped with marshmallows. Adding pumpkin seeds to your oatmeal or even smoothies will add a little more texture to your meals. 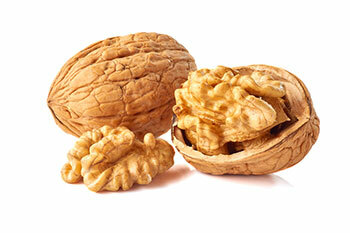 Walnuts are a powerhouse of omega-3 and omega-6 fatty acids. These fatty acids are great for your skin because they help the body retain moisture. Walnuts provide an unusually high level of vitamin E in the form of gamma-tocopherol. Vitamin E works to block free radicals from the body which plays a major role in the aging process. (6) By consuming more vitamin E, you can reduce wrinkles and keep your skin looking young. Tip: Take a 1/4 cup of walnuts and blend it with half a cup of olive oil and two tablespoons of honey until it becomes paste like. Gently rub the paste on your skin and leave it on for 2-3 minutes before rinsing off with warm water. Walnuts can be added with granola, bits of chocolate, and other nuts for a healthy, homemade trail mix. Also, you can incorporate walnuts in salads or use it as an ingredient for desserts. Sweet potatoes work wonders for your complexion. 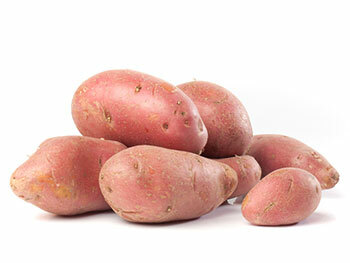 Sweet potatoes also possess a high amount of beta-carotene per serving. Beta-carotene protects your skin against sun damage. Tip: Poke holes in a sweet potato and microwave for about 3-5 minutes or until it is tender. Allow the sweet potato to cool down and peel off the skin. Mash the sweet potato with a ¼ cup of Greek yogurt. Gently rub the mixture into your skin. The Greek yogurt and sweet potato will exfoliate and moisturize your skin effectively. Have you ever had sweet potato for dessert? Boil a few sweet potatoes in a pot. Once the sweet potatoes are tender, place them in cold water and remove the peel. Mash the potatoes until you have a smooth texture. Spread the sweet potato on toast and add a small amount of brown sugar for a sweet, skin-healthy snack. If the sweet potatoes are organic, eat it with the skin on for additional benefits such as added dietary fiber. Strawberries are a great source of vitamin C and K, calcium, manganese, folic acid, fiber, and potassium, all of which are needed for the regeneration and the production of new skin cells. Strawberries also contain a generous amount of flavonoids and phytonutrients giving them that bright, red color. 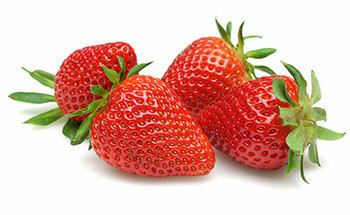 Strawberries are also rich in alpha-hydroxy acid which aids in moisturizing and getting rid of dead skin cells. 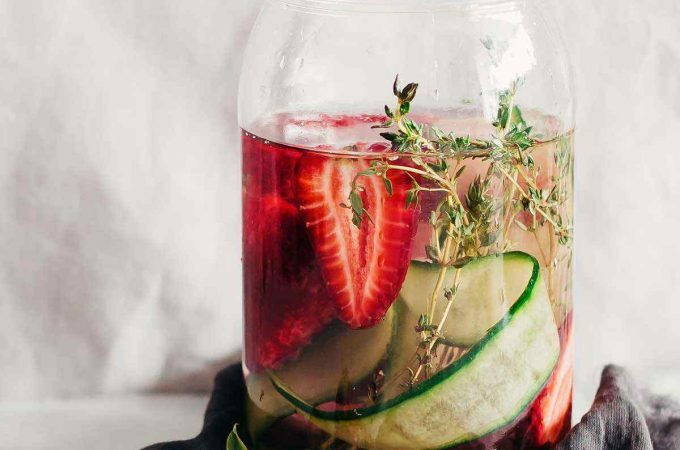 Tip: For a refreshing facial, smash 2-3 strawberries with 1 tablespoon of honey. Massage onto your face for 2-3 minutes and rinse. Strawberries are extremely easy to add to your meals. You can add sliced strawberries to your oatmeal, Greek yogurt, and even cereal. There are literally hundreds of dessert recipes online that have strawberries as a main ingredient. Fish that are high in omega-3 fatty acids add luster and softness to your skin. (9) These healthy fats nourish your skin by reducing inflammation and removing impurities from clogged pores. 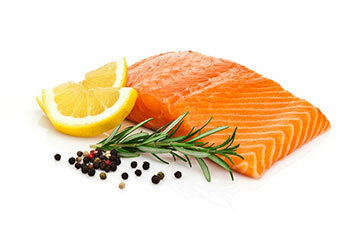 Salmon is one of the best fish to obtain not only omega-3 fatty acids, but selenium as well. Selenium is a mineral that protects the skin from sun exposure. As an added benefit, the vitamin D present in salmon is great for your teeth and bones too. Tip: Buy extra salmon fillets and freeze them to ensure that you have them on hand to consume on a regular basis. Salmon fillets can be quite difficult to come by which is why stocking up on it when it is available is a smart move. 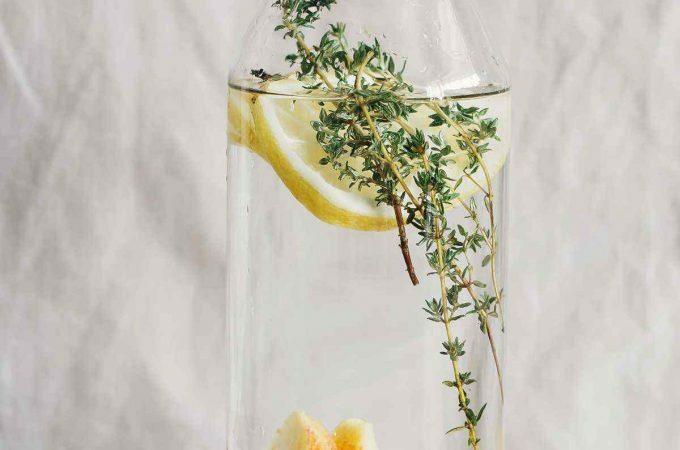 We are all aware of the ongoing debate on how much water you should drink every day. 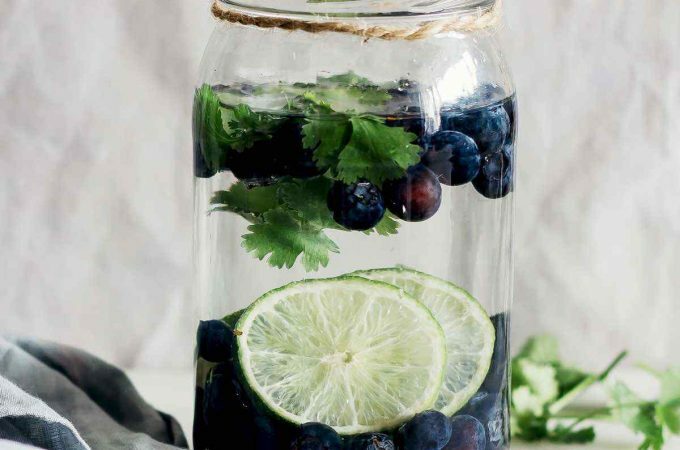 Our bodies are made up of 75% water and if you aren’t drinking enough, your cells can’t regenerate and remove toxins. 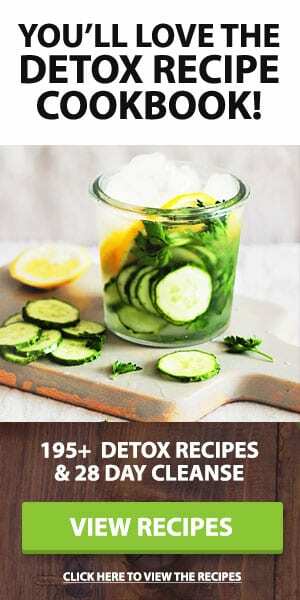 Aim for 8-10 glasses of liquid a day and try alternating green tea into the regimen. 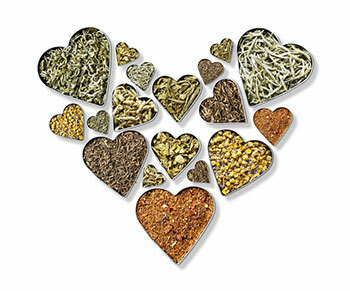 Green tea has B vitamins, folate, manganese, magnesium, potassium and caffeine. 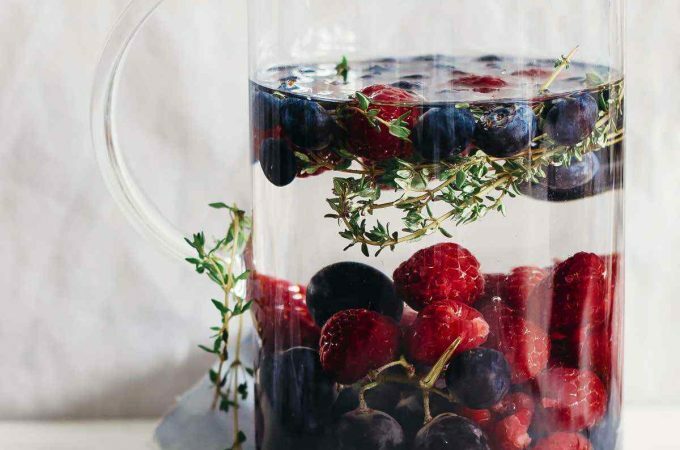 It also contains high amounts of antioxidants, as well as amino acids, enzymes, and phytochemicals such as polyphenols. Tip: Use the green tea leaves as an exfoliator by opening 1-2 bags of green tea and mixing the leaves with 3 teaspoons of yogurt. Slowly massage the mixture into your skin and let it rest for 5 minutes. Rinse off the mixture with warm water. For a refreshing skin-healthy summer beverage, freeze the green tea in ice cube trays and add a few cubes to a pineapple, orange smoothie.